The HTC M7 is one of the most awaited devices of the year and the smartphone has been in the news with various leaks and rumors lately. 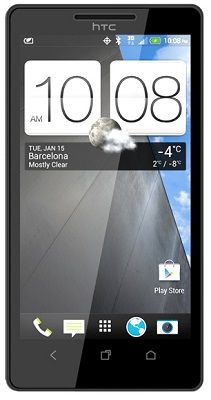 While we are expecting HTC to unveil the flagship smartphone at the upcoming Mobile World Congress (MWC) 2013, Twitter user @flapic has revealed that HTC might hold a separate event event in London on February 19 to unveil the smartphone. The reason behind the special unveiling event is unknown but is quite obvious. At the Mobile World Congress, numerous companies reveal zillions of products which might result in the HTC M7 not getting the much-needed attention. We have previously seen the Korean giant Samsung move away from the Mobile World Congress and take the center-stage alone to reveal its flagship Galaxy S III smartphone which is indeed selling hot. And now it seems that HTC might be planning to adopt the same policy. We cannot confirm anything on this as of yet but as days pass by and we inch closer to the possible launch date, we expect more information to flow in related to the HTC M7.